EastSide Dental Medicine – a full service, state-of-the-art dental practice, located in mid-town Manhattan with Husband and wife team of Drs. 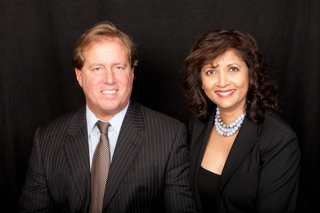 Jyoti Srivastava and Robert Castracane, bringing you over 50 years of combined dental experience and excellence joins the Dental Health Channel on eHealth Radio. Explain to our listeners systemic health? What does that actually mean? What are some of the diseases or issues that can occur in our overall health if our oral health is compromised? What are some of the adverse conditions when our "oral health" is jeopardized? What are some of the adverse conditions when our "overall" health is affected? What are some suggestions you would give to help patients optimize their oral health and to ward off some of these potential adverse conditions? Dr. Jyoti P. Srivastava, M.S., D.D.S. Dr. Jyoti Srivastava was, “born to do this job”. Or at least that’s what her friends might say. She completely agrees. With her eye for perfection and passion for excellence, Dr. Srivastava would gladly admit she's found her true calling. It came by way of her seemingly unlimited aptitude for all things design, from the wide expanses of architecture to the inner spaces of molecular science. By becoming a prosthodontist she's achieved a pinnacle of dentistry, but not before stopping to get her Masters of Science in Biophysics. She loves to teach and is currently Associate Professor, Department of Postgraduate Prosthodontics at NYU College of Dentistry Graduate Program, where she teaches the specialty to future prosthodontists. Her ability to restore good oral health and proper biomechanical functionality is matched only by her talent for creating beautiful dental aesthetics. Her devotion and meticulous attention is on display in the beautiful smiles of her many patients. Dr. Jyoti Srivastava’s practice is also a reflection of her calm. Her patients embrace her personal approach and holistic perspective. There is a tangible sense of trust between Dr. Srivastava and her patients. With her there is a knowing that you’re receiving the very finest dental treatment. As a leading academic prosthodontist at NYU College of Dentistry, she is on the cutting edge of advancements in the field. NYU’s program is one of the foremost centers for dental technology in the world and Dr. Jyoti Srivastava is helping to shape that debate. She has a rare talent for putting together a comprehensive treatment plan for her patients. Achieving good dental health is the foundation of her work alongside her knack for creating beautiful smiles and great aesthetics. Her sensitive touch and calming presence are a relief to each and every patient that sits in her chair. While the wide-open thrills of downhill skiing may be one of Dr. Robert Castracane’s favorite pastimes, it is the precision and attention to detail of implant surgery that inspires his true expertise. As a graduate of the renowned Misch International Implant Institute, Dr. Castracane is at the forefront of techniques in implant dentistry. His knowledge and abilities are a ready match for the exacting dentistry he practices, skills he first cultivated as a student at Tufts University School of Dental Medicine. He knows and values the trust his patients place in him. His caring attitude is revealed in his sure touch and comprehensive, restorative dentistry. While he treats each tooth with a singular dedication, he always keeps in sharp focus the integrative systems of teeth, bite and smile. You’ll feel Dr. Robert Castracane’s gift for working with patients on all the procedures he performs. As a Clinical Associate Professor at NYU’s College of Dentistry, he stays atop the latest developments in implant and dental science. He teaches dental students at NYU about advanced techniques in dental implants and the finer points of occlusion.